Our city is excited to have the opportunity to promote local businesses, organizations and events in a professional publication! 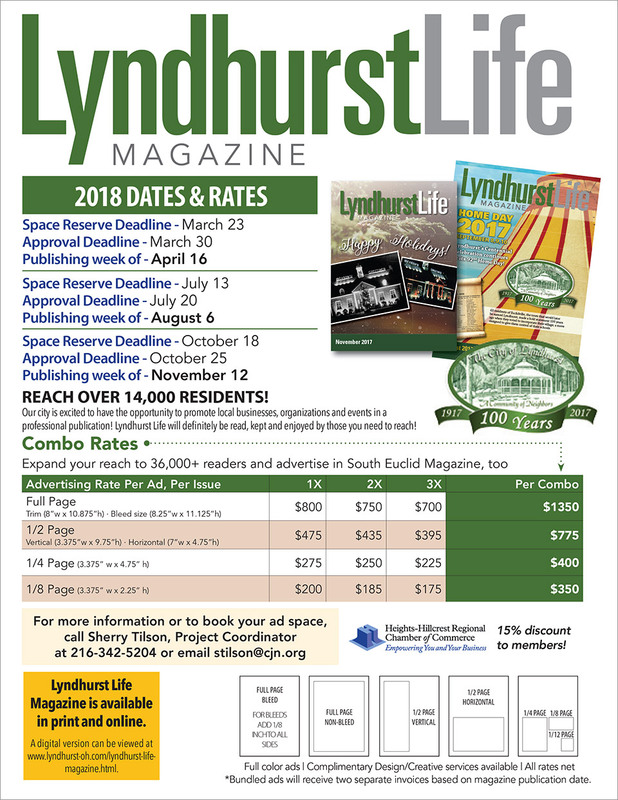 Lyndhurst Life will definitely be read, kept and enjoyed by those you need to reach! Combo Rates. Expand your reach to 36,000+ readers and advertise in South Euclid Magazine, too. Rate card available below or at: http://bit.ly/2D6VNmA. For more information or to book your ad space, call Sherry Tilson, Project Coordinator at (216) 342-5204 or email stilson@cjn.org.